Hello everyone, all I can say is WOW! Fly Gosh is only 5 months old and there are already more than 60000 hits and growing. When I first started this blog, I have no idea that it will actually grow so fast and able to gain popularity. Thanks to all my readers (whom I regard as Fly Goshers) for all your support. I am not blowing my horn here, but as of now I have gotten 100% positive feedback so far and your encouragement is what really keeps me going. I guess it has grown so rapidly that it is almost impossible for me to handle one to one coaching anymore. 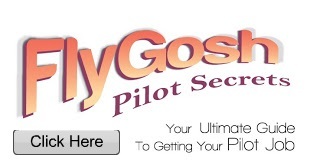 Therefore I have decided to start Fly Gosh forum which I am sure most of you are aware of. For those who are new, you can actually access the forum here. To participate, you need to register an account and post your question there. Instead of answering individual question and repeating, I only need to reply once in the forum and share it to the rest. As time goes on, I guess the forum will be a useful platform for anyone to find valuable questions and answers, news and anything related to a career in the aviation industry. Lately for the past few months, there have been many airline interview and open days going on. Quite a number of fly gosh readers have succeeded in the interviews but there are also equal number and in fact more failures compared to the successful ones. One thing I realize that when I say to you not to give up and try again, it doesn’t mean you just keep going to more and more interviews and do the same thing. You need to reflect and ask yourself what happen and identify what are your mistakes. You see, if you do not know which area you need to improve on, how can you perform better in the next round? Also, a lot of you ask me why did you fail and I guess no one including myself can possibly know why except yourself as we were not there during the interview. If you have difficulty recalling, you can actually write it down in a piece of paper on what you think you did right or wrong. It will be a clearer picture and you will be surprise with the outcome. I know it is full of disappointment and frustration to go all the way to the final round and fail it. So make sure you perform better next time and nail it instead of just going to more and more interviews blindly. Remember, Quality vs Quantity! I also have readers who ask me when or where is the next round of interview is or where to find info regarding that particular airline. Everything has been posted in Fly Gosh blog and also the forum and obviously to get to know more about the airline, you can get all the info at their official website or google it. I guess it all boils down to being lazy and expect everything to be shown and given to you and be spoon feed. With this kind of attitude, how do you expect yourself to pass and beat the thousands of candidate vying for the job? As I have mentioned before, my readers who pass are extremely hardworking and have put in a great deal of effort. Some to the extent that they can tell me which post in my blog they got the info. They make use of every opportunity to ask questions to better prepare themselves and have an edge over other candidate. To get you started, make full use of fly gosh forum to post your question as I have invited several experience flying crew who are willing to use their time and share their knowledge and experience to help you. Some of you also ask me whether you should go to an interview or not? Well, no harm trying right? Gain all the knowledge in Fly gosh and be more proactive. Being knowledgeable itself is not enough and as the saying goes, knowledge + ACTION = Results! For those of you who are new, Fly gosh is my personal blog and it is not a recruitment agency and there is no money or charges involve. Many have also asked me why am I doing this for free? I don’t deny that it is hard work to set up Fly Gosh but then flying and aviation is my passion and to me it’s not work. I enjoy what I do and noting beats the satisfaction to see all my happy readers (you know who you are :) ) when they say thank you to me and are ready to start their exciting journey to see the world. Hope to fly with some of you one day. Finally, there will be a new Fly Gosh website coming up soon. It’s still in the designing and development stages and I will update you all when it is ready. Meantime, check Fly gosh blog and forum for the latest update and tips. Great to see that my fan base have grown to the thousands and let’s make Fly Gosh the number 1 aviation website. Cheers! Click here to discuss about it at Fly Gosh Forum .